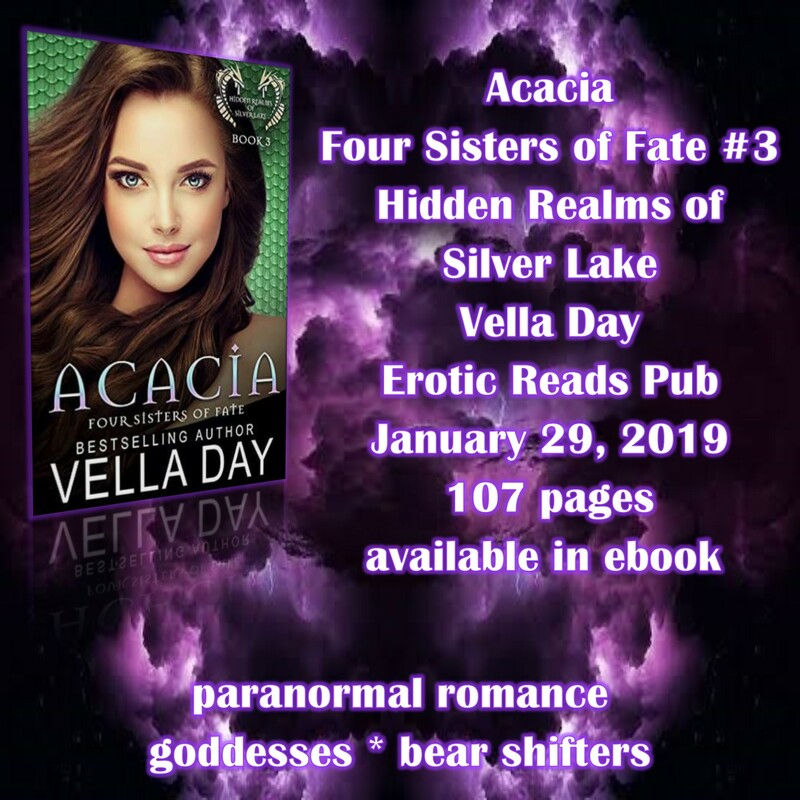 Another Fun Monday is here and I am sharing another Four Sisters of Fate new release review with you! 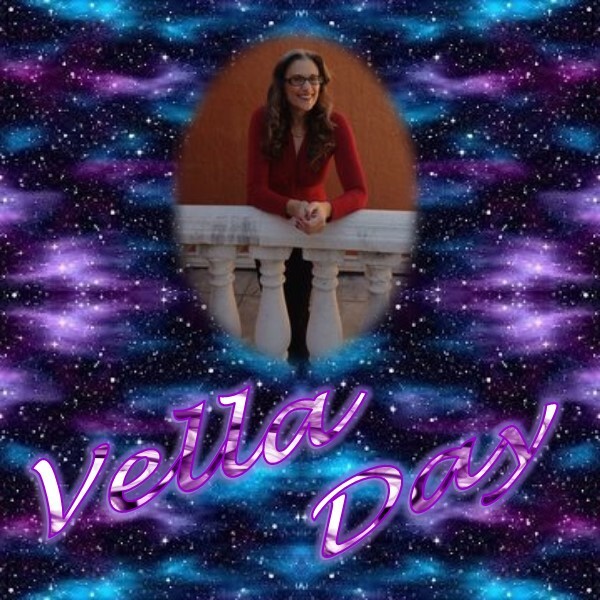 Acacia (Four Sisters of Fate #3 / Hidden Realms of Silver Lake) by Vella Day! 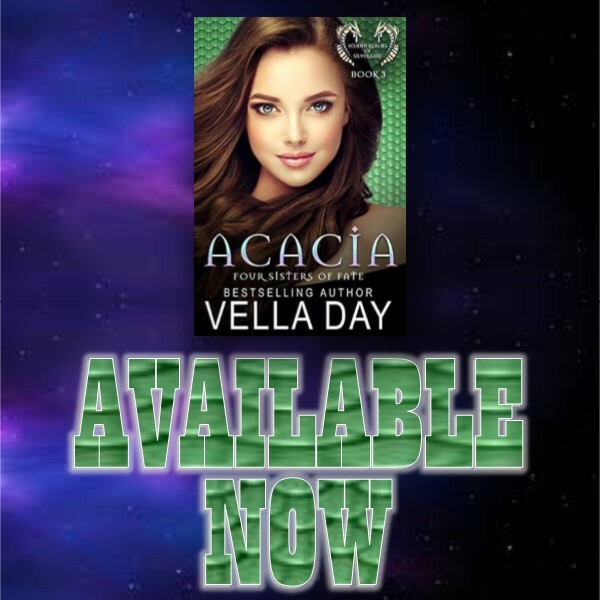 Enjoy & don't forget to add Acacia to your shelves! 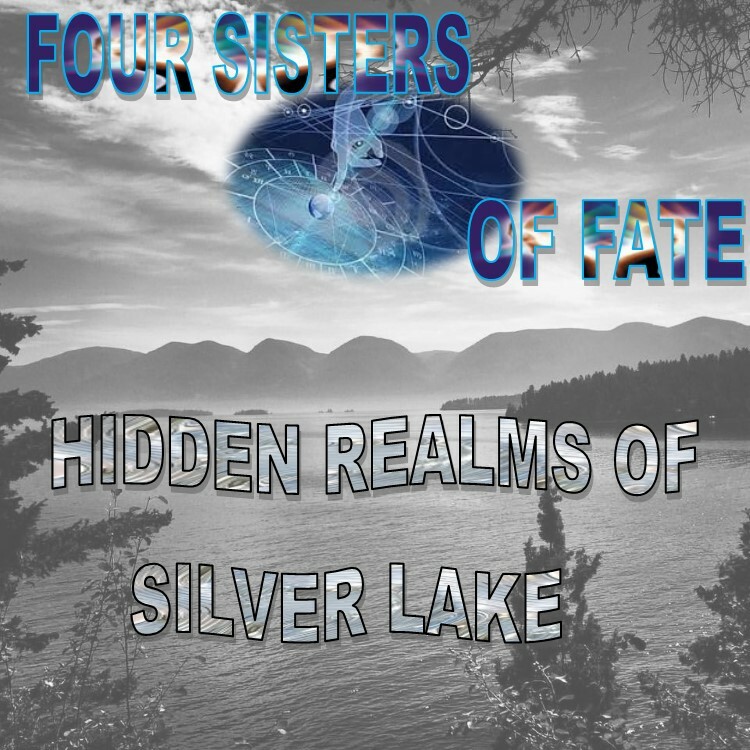 Another Sister of Fate has met her match in this delightful and charming paranormal romance. 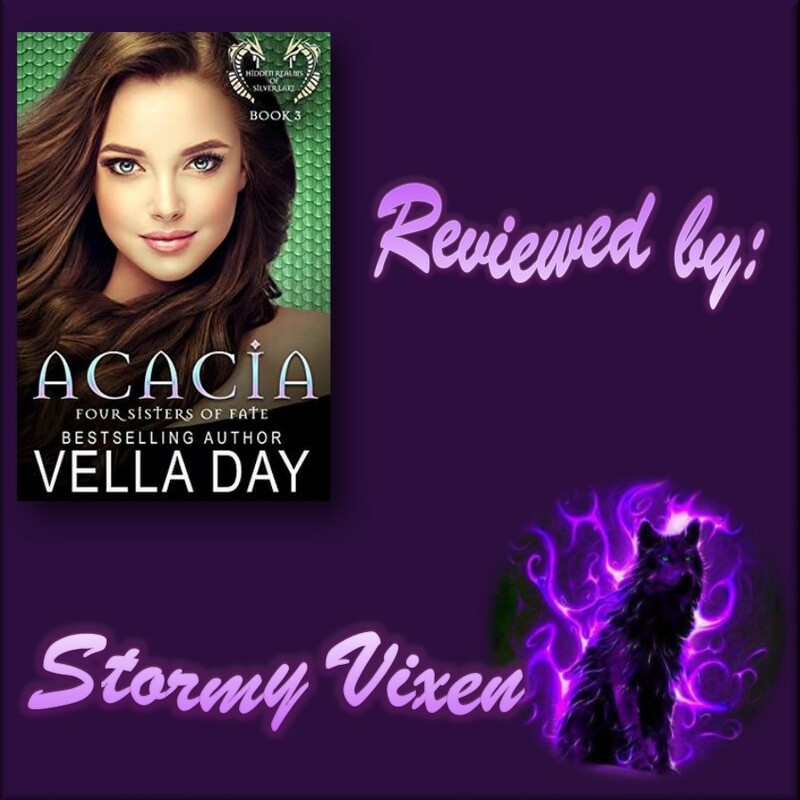 Acacia and Will are two strong characters with sizzling chemistry that leaps from the pages and the romance between them is fascinating as they try to determine if they are indeed mates without giving secrets away. 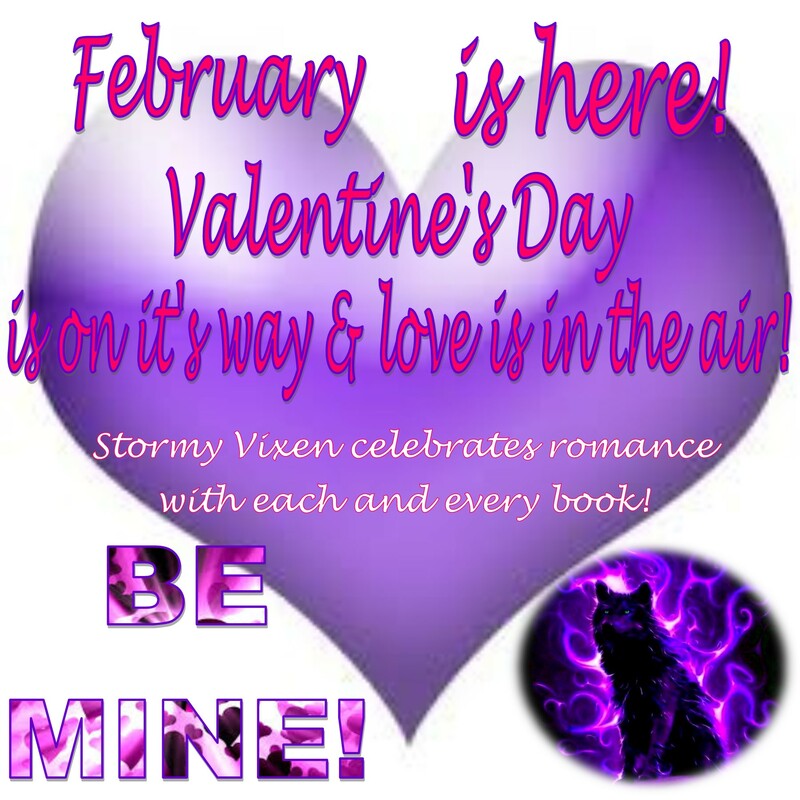 It’s not all paradise on this camping trip secrets are revealed and the bear gets his fur all in a twist. 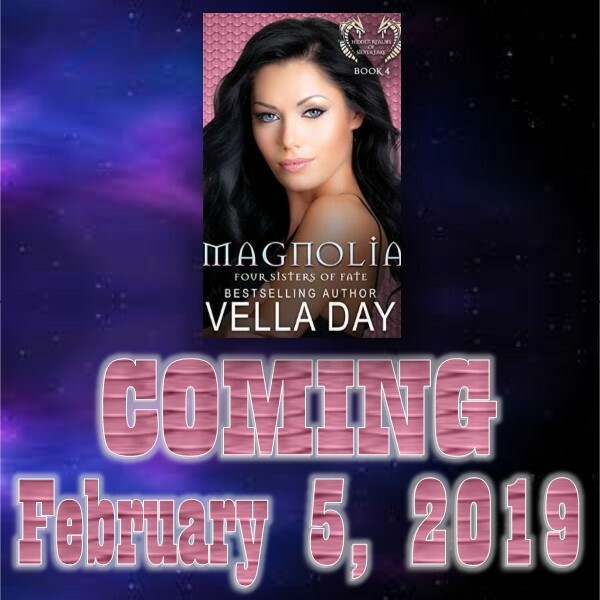 While short, the story is fast paced and very entertaining, causing a few chuckles, especially during some camping mishaps as well as a few gasps as the suspense builds.